For the Dad who loves a large cup of hot or iced coffee for a full dose of morning caffeine, this extra-large mug is a fantastic idea for Father's Day. 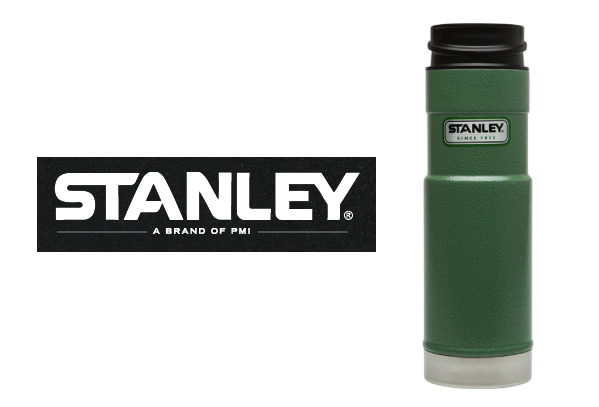 The Stanley Classic One Hand Vacuum Travel Mug is designed to be one handed and fully leak-proof, so that Dad can feel free to enjoy his morning pick-me-up on the go with no spills. The vacuum insulation will keep his drink hot for 9 hours or iced 35. The Stanley brand has long been known as one of the toughest brands on the market. It's likely the brand your grandfather used, with quality that stands the test of time! Consider pairing this travel mug with some fresh roasted coffee to create a thoughtful gift set this Father's Day that will make getting up and out the door that much easier! Even better, to save time, check out the gift packs Stanley offers. There are quite a few to choose from and it takes the leg work out of shopping without sacrificing the quality of the gift! Browse the Stanley site to find the right gift for Dad. You can order directly through their website for door-to-door delivery. You can also find Stanley products on Amazon.com. Disclaimer: The product in this post was provided by Stanley, a brand of PMI. As always, our posts are our own, honest opinions.